Tim Scott, Chairman of sustainable energy group ENER-G is appointed as Honorary Consul of Mexico. Pictured (l-r) at the inauguration are Tim Scott, Chairman of ENER-G and Honorary Consul of Mexico North of England; with Ambassador of Mexico, Diego Gomez Pickering. ENER-G is proud to partner with Mexico's local and national governments in building renewable energy facilities in order to help the country meet its carbon reduction targets. 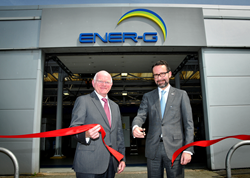 The Government of Mexico has inaugurated its new Honorary Consulate at green energy group ENER-G in Greater Manchester, which will expand the presence of Mexico in the UK. In the Year of Mexico to the United Kingdom, the Ambassador of Mexico, Diego Gomez Pickering, headed the official ceremony in which he officially appointed Tim Scott, Chairman of ENER-G, as Honorary Consul of Mexico. The Government of Mexico selected Mr Scott due to his extensive business experience and outstanding track record in renewable energy and clean energy technologies, including energy from biogas projects in Mexico and across the globe. ENER-G was founded in Manchester more than 30 years ago and has its global headquarters and production site in Salford. The President of Mexico, Enrique Peña Nieto, met the new Honorary Consul during a recent state visit to the UK. He thanked Mr Scott for accepting his assignment and reiterated the importance of strengthening the bonds of friendship between Mexico and the UK. He instructed him to consolidate the presence Mexico with various stakeholders in Manchester and the North of England. The new Honorary Consul of Mexico will have a constituency comprising the North West, North East, and Yorkshire and Humberside, with its capital in Greater Manchester. Tim Scott said: "I am honoured to take up the role of Honorary Consul and to have an opportunity to offer assistance to Mexican Nationals in the North of England, as well as to help promote trading relationships between Mexico and the UK. ENER-G is proud to partner with Mexico's local and national governments in building renewable energy facilities in order to help the country meet its carbon reduction targets." For the past ten years ENER-G has been exporting goods and services to Mexico, where it has two offices. The company has invested in a number of multi-million pound renewable energy projects, including the generation of green power from landfill gas for Nissan’s car plant in Aguascalientes. 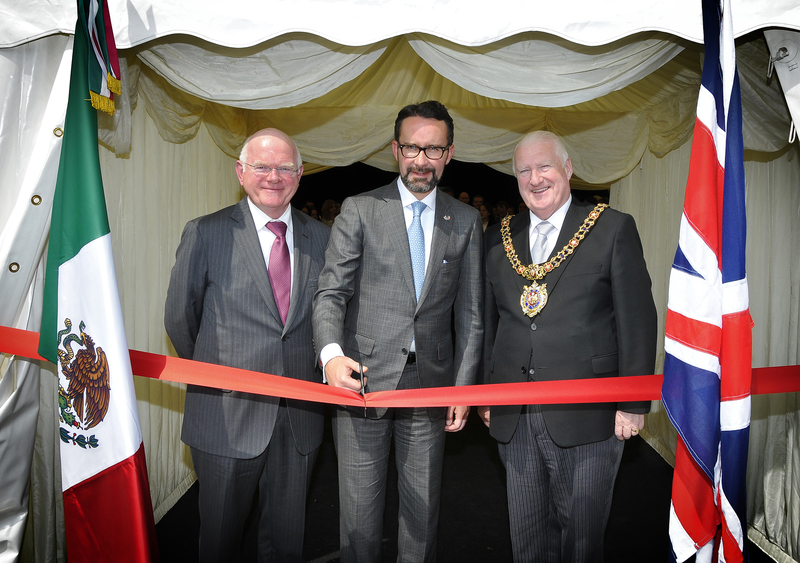 Pictured (l-r) are Tim Scott, Chairman of ENER-G and Honorary Consul of Mexico North of England; Ambassador of Mexico, Diego Gomez Pickering, and Lord Mayor of Manchester Councillor Paul Murphy OBE.